NFORC is the UK’s Head and Neck Surgical Trials Unit dedicated to developing, running and coordinating prospective cohort and randomised trials on a wide range of clinical topics relevant to the head and neck anatomical domain. 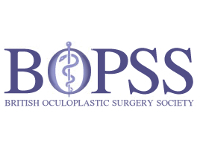 It results from a collaboration between the British Association of Maxillofacial Surgeons (BAOMS), Saving Faces – The Facial Surgery Research Foundation (SF-FSRF), Barts Clinical Trials Unit (BCTU), British Oculoplasic Surgery Society (BOPSS), and NHS Digital. The intellectual leadership for NFORC trials emanates from the BAOMS Research and Clinical Effectiveness Committees. The imprimatur of BAOMS decision-making should ensure that all BAOMS members participate in these trials resulting in rapid recruitment and trial closure. The generic research skills are provided by SF-FSRF, CPTU and BCTU. Professor Peter Sasieni is the Director of CPTU and BCTU whilst a consultant oral and maxillofacial surgeon, Professor Iain Hutchison, is NFORC’s Director. NHS Digital provide web-based data systems and secure data transfer and storage for the studies. Created a method for developing prospective cohort studies with the BAOMS Clinical Effectiveness Committee for those clinical dilemmas where it might be difficult for surgeons to recruit to randomised trials. 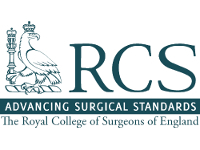 Encouraged 10 surgeons with national and international reputations, but no previous experience of leading multi-centre randomised trials, to develop the first national pragmatic randomised studies on their area of expertise. Initiated Good Clinical Practice (GCP) training courses for Oral and Maxillofacial Surgeons (OMFS). 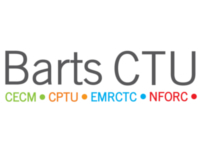 Organised 2 closed “research summits” for the 10 Chief Investigators (CI) to develop their randomised trials with the NFORC and Barts CTU staff. Organised 1 open “research summit” for all-comers to listen to presentations from the CI or present their own ideas for study. Assisted the CI develop pilot studies and build patient advisory groups. To help surgeons develop cohort and randomised studies covering all aspects of OMFS. To ensure all OMFS trainees participate in clinical trials and have this enshrined in their training programme. 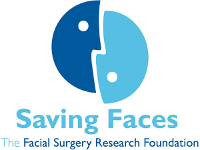 To encourage every patient being treated by OMFS to participate in one of these studies. To enable clinically valuable and scientifically excellent surgical studies to be successfully completed. To develop a national network of consultants and trainees who will deliver trials within their specialist field. To provide research training for consultant surgeons, trainees and undergraduate medical and dental students.